I downloaded this app while in the hospital with my daughter. Little did I know we would be here for longer than just a few days. I’m a foreman in the oil field for electrical services and make daily field tickets from three trucks to eleven trucks with most of those trucks doing three to five jobs a day. I brought a stack of work tickets with me but after the third day was down to my last ticket. I found this app and had my secretary email me a work ticket that I ended up using as a template in this app. This app has saved me the hassle of trying to make copies and have done a weeks plus worth of work from the hospital room. It’s very user friendly with email capabilities! Being able to do my work without leaving my daughters side has been the biggest blessing! Thank you so much!! Also the only reason I gave this four stars (would have been 4.7 if that was a choice) was because it isn’t split screen compatible on my Pro, I pull up an excel spreadsheet with codes from parts used in the field and I have to move it from side to side to get to all the features this app provides. Nothing too big but with a split screen capability this is easily a ten star app in a 5 star world!!! 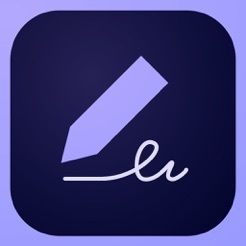 Very useful for signing documents on the go. I have a suggestion/functionality for them which they could may be imbibe in their app . Here is a use case where I get two attachments(both need signatures & both need to be sent back ) in one email , in the current version I should separately open each attachment and export it to Adobe app and sign it and through the abode app when I try to select two of the signed files to send them in a single email it is not possible so I had to send one email for each file which is little inconvenient . So if adobe had the option of selecting two files at a time and then o could share it to other app such as gmail I could send the two files together in the single email . This functionality could make life a bit easier if you had to sign and send multiple files to the same email id . But over all the product is very good . I truly feel like I have searched for years for an app that has the ability to do what this app does so easily, cleanly and quickly!!! I found it today while searching for a way to complete an online form that needed to be submitted ASAP & when I found this I immediately and downloaded it to try. Tho, I fig’d it wld be either difficult to use or you wld have to pay once I tried to use it or submit and save etc. So happy I was wrong. It was BEYOND simple with no gimmicks or charges. Then at the end I was trying to fig out how I was going to sign the document and instantly saw at the bottom the button. So easy and so clear how to do that w this app. Click on the fountain pen image and it opens a place to sign your signature. Amazing. So easy. I am so excited for this ((yes I know that’s 🤓 nerdy of me)) and so happy I finally found an app like this. Makes things so simple and easy!! Well done! !